Have you ever thought that you could write a comic book script if you had the opportunity? Well, here’s a book that not only demystifies the world of comic book writers but provides great food for thought for any writer or any creative person, for that matter. It’s by Brian Michael Bendis. You will know the name if you’re into comics. This week we will look at some outstanding how-to books on comics from Watson-Guptill Publications. 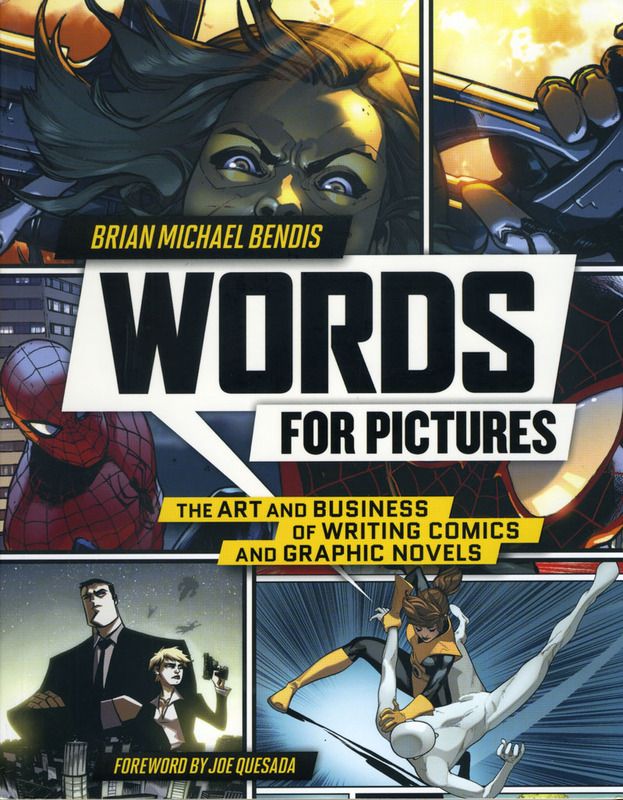 We begin with “Words For Pictures: The Art and Business of Writing Comics and Graphic Novels” by comics writer Brian Michael Bendis, who is responsible for much of the Marvel Comics Ultimate Universe, notably Ultimate Spider-man, among many other exceptional titles. Where to begin? As Bendis makes clear, a writing career won’t mean much of anything without a foundation and that foundation must mean something. I love the introduction in this book by none other than Joe Quesada, award-winning comics creator and the chief creative officer of Marvel Entertainment. He has plenty of words of wisdom and he brings it home with his anecdote about his time as a student at the School of Visual of Arts in New York City. He cites a speech given by legendary illustrator Marshall Arisman to a senior class. He just wanted his students to know that most of them would not be going on to a career in comics and illustration as they had intended. Sure, they had spent a tremendous amount of time, money and effort. However, that did not guarantee anything. He went on to provide a fable of two recent SVA grads. One was the superior artist. The other pretty good. But, out in the real world, it was the pretty good artist who withstood the crushing rejection…and persevered. Fail. Fail. Fail. And fail again. That is something Mr. Bendis would like to get across right from the start. Be sure you know why you’re doing this because that is what will sustain you and will get you somewhere. 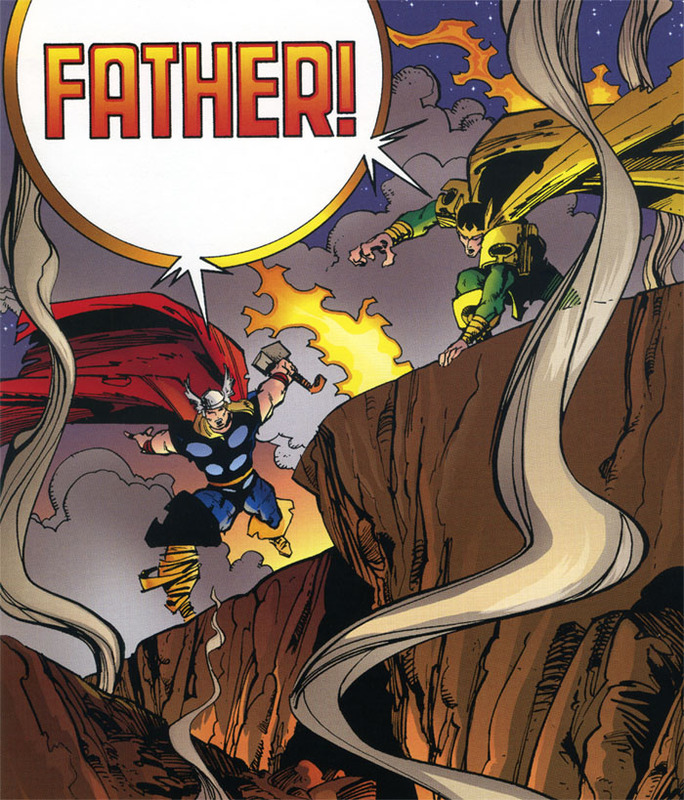 There’s a wonderful tribute that Bendis provides to two legends in comics, artists John Totleben and Walter Simonson. And the gist of it is that, if you’re going to make it in this world, why not be a decent human being while you’re at it. Bendis comes across as genuinely inspired by meeting these two greats when he was a teenager. In the case of Totleben, who was just starting out, the message resonated with him later on: do it because you love it. With Simonson, who was already well established at that time, Bendis was struck by how gracious and generous Simonson was to him. Bendis vowed, if he was ever in a similar position, he would do likewise. As for the nuts and bolts of writing for comics, Bendis is very natural in his approach. In a book that manages to remain quite accessible, you pick up practical instruction byway of what amounts to an extended conversation. The key to what Bendis is doing is giving you real world advice. He wants you to get real about yourself and your work. A theme that he comes back to in various ways is that a comic book is a collaborative effort. The writer plays a role. And the artist plays a role. A wonderful example is how Bendis was enlightened on how to work with artists, and this is already ten years into his career. 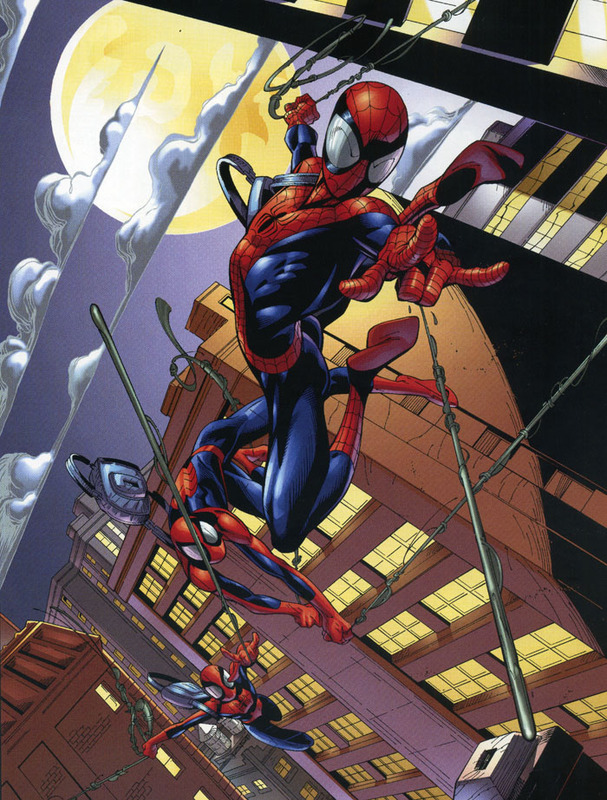 He was embarking upon Ultimate Spider-Man with veteran artist Mark Bagley. Insert needle scratching record here. Bagley was not about to put up with being handed drawn-out layouts along with a written script by Bendis. He ever so politely explained that’s just not how it’s done. And so it stopped and Bendis learned a valuable lesson on respecting boundaries. Throughout, this book proves to be a genuine collection of hard-won wisdom. Bendis includes a number of interviews with leading figures in the comics industry that guarantees you’ll get a full picture. “Word for Pictures” is a 210-page trade paperback and is available now. For more information, visit our friends at Watson-Guptill, part of the Crown Publishing Group, right here. I appreciate your comments. You’ll definitely enjoy the book.